Homelessness is a growing problem, not just in Savannah but across America. The need for help, for supportive services, for a hand up out of homelessness, is great. Last year, over 4,500 men, women, and children were homeless in Chatham County. That could be for a day, a week or longer. Right here in Chatham County, on any given day, there are approximately 1,000 people living without a stable home. These people could be in emergency shelters, on the street or under bridges, in motels, in their cars, or couch surfing with friends and relatives. Union Mission began 80 years ago as the dream of a man of faith. Our founder, the Reverend George Akins, came to Savannah from Toccoa Falls Bible College in the north Georgia mountains. The suffering he saw on the streets around him during the Great Depression inspired him to create a place of hope and help that would touch the lives of those most in need. His dream has been changing lives in Savannah ever since. Each year, hundreds of men, women, and children come to Union Mission looking for a beacon to light their way to a new life. Here they find safe beds, hot food, and the help they need to rebuild their lives. Many of them tell us that we are the first place that truly gave them a hand up out of homelessness into a better tomorrow. Union Mission works to change lives by creating an environment where individuals can thrive and lives can be rebuilt. The program at the heart of what we do is our Emergency Services Program. Our two facilities, Grace House for men and Magdalene House for women with children, offer 90 days of housing and supportive services, including mental health care, employment and training support, and dedicated staff trained to address the specialized needs of individuals and families recovering from homelessness. Our goal is to help them leave homelessness and transition to safe, stable housing. In 2016, (we are still gathering our 2017 stats) we served 474 people. In doing so we provided over 28,000 nights of shelter, served over 84,000 meals and helped over 300 people find employment. 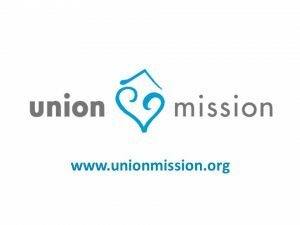 We helped over 200 people find stable housing. .
Union Mission is a place of second chances. It is a place for those who are weary to find rest, for those who are ready to find a fresh start, and above all a place where hope lives on. You can see it in the faces of the people we serve and hear it in their stories. One such story is the story of Niaisha. After ending a 15 year relationship with her children’s father, Niaisha moved to Savannah from Cleveland to be closer to her family. She soon discovered that her family was not going to be able to support her in a way that she had thought they could. 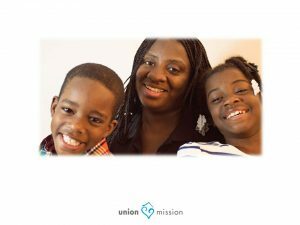 Niaisha reached out to Union Mission and within a few days there was a room for her and her two children at Magdalene House. 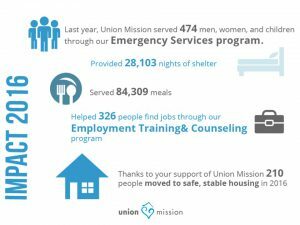 Beyond just providing them a safe place to sleep, Union Mission provided intensive case management, connecting Niaisha to counseling, child care assistance and affordable housing in the community. Despite the struggles she encountered, Niaisha was determined to create a better life for herself and her two children. Within 90 days, Niaisha moved from Magdalene House to her own apartment, a safe space where she and her family could continue their journey to a brighter future. Today, Niaisha works at the Georgia Ports Authority and both of her children are honor roll students. She is also enrolled in a program that will enable her to purchase her own home in two years. I’m humbled when I hear women like Niaisha and others express their gratitude for the help they received at Union Mission. 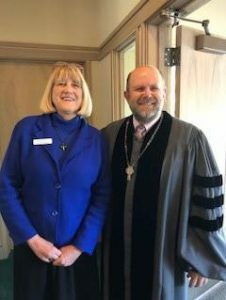 But the work we do would not be possible without the generous support of people just like you – men and women of faith who are committed to doing what Jesus did – accepting people where they are, loving them, and extending the gift of grace to those in need. You can extend that grace in a variety of ways. You can join us as volunteers, as financial partners, or as prayer supporters. Your support as a volunteer can help bring the light of hope to mothers at our Magdalene House working to build a better life for their children, or lift the life of a man at Grace House who feels forgotten by the world. With your help as financial partners, we can continue to provide a safe place for those who have nowhere else to turn. As prayer partners you will under-gird with love and grace the work we do each day.